Visit with us at HITEC 2015, Booth #1229, June 15-18 in Austin. 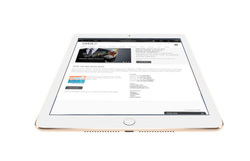 Enter to win an Apple iPad Mini 2 WiFi! 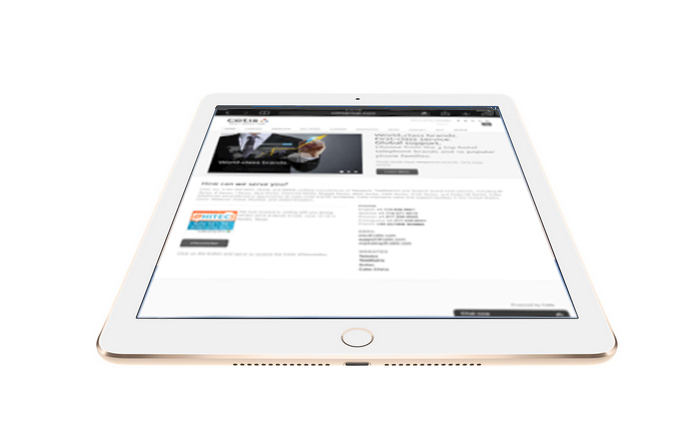 Enter to win an Apple iPad Mini 2 WiFi at Cetis Booth #1229 during HITEC 2015, June 15-18. The winning entry will be drawn on Wednesday, June 17 at 1:30 p.m. Central U.S.. Must be present to win. USB charging ports on analog, VoIP, corded, and cordless models. See our new M Series Standard phones at HITEC 2015, available in analog, VoIP, corded, and cordless configurations with USB charging ports on both the phone and remote handset kit. M Series Standard phones effectively extend the M Series family, complementing existing M Series Bluetooth one and two line analog corded, and MTrim one and two line analog and VoIP trimlines. 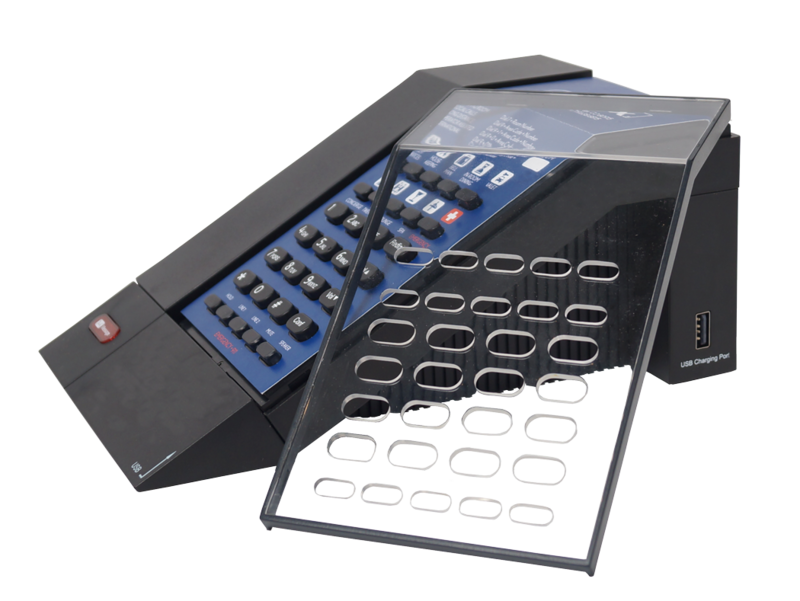 M Series Standard telephones are available with 5 or 10 configurable guest service keys on desk sets, and 0, 3, or 6 guest service keys on the innovative new front/rear facing RediDock remote cordless handsets. Cordless models support up to four handsets, including one on the base and three remotes. An innovative clear plastic M Series Standard faceplate module encapsulates the customizable paper faceplate to communicate a professional image in the room, and simplify faceplate maintenance and cleaning. Patented OneTouch voicemail technology is also available on M Series Standard models. With a single touch of the blinking red voice mail key auto-dials the guest’s voicemail, and turns on the speakerphone. Guests hear their voice mail messages loud and clear hands-free over the telephone speaker, or via the handset for greater privacy. And because it is intuitive, and easy-to-use, guests no longer need to call the front desk for assistance with messages, but do utilize the guest service keys on the in-room telephones, which can generate increased telecom-related property revenues. Visit with us at HITEC 2015, Booth #1229, or contact your Cetis sales representative for M Series Standard product and pricing details. M Series is a complete family of hotel phones. Choose M Series Bluetooth, M Series Standard, plus matching Lobby and MTrim trimline models available in one and two line, analog and VoIP corded configurations. Unlike M Series Bluetooth, which features an integrated hard plastic silk screen faceplates, M Series Standard is equipped with an integrated clear plastic sleeve that supports traditional, economical faceplate paper faceplates. Fallsview Casino Resort, Niagara Falls, Ontario, Canada. Colorado Springs, CO, June 3, 2015 – The billion dollar Fallsview Casino Resort has chosen Teledex M Series Bluetooth hotel phones for installation in the hotel’s 374 guest rooms, including 85 suites, of which nine are VIP suites. Cetis channel partner Williams Telecommunications Corporation of Mississauga, Ontario, has completed the installation 999 M Series Bluetooth telephones. M Series Bluetooth hotel phones are designed to keep guests connected via Bluetooth pairing to stream sound, place and receive calls over their own cell network, and charge smart devices via built-in USB charging ports. A high performance stereo sound system replaces stand-alone audio playback devices in the room to save space, and empower enhanced guest telephone speakerphone calls and conferencing. The guest may also pair to the M Series Bluetooth phone to use their own smart device as the remote cordless handset in the room. A unique, fully integrated M Series Bluetooth customizable plastic silk-screen printable faceplate module supports a unified, contemporary design, while communicating important property information and services to the guest. M Series Standard models are also available in one and two line analog, VoIP, corded, and cordless configurations with matching MTrim trimline and lobby telephone models. For M Series Bluetooth product and pricing details, call Williams Telecommunications at 800.982.3333, or +1.905.712.4242, or write sales@williamsglobal.com. Or contact Cetis at +1.217.239.6533, write info@cetis.com, or visit www.cetis.com. To book a reservation at Fallsview Casino Resort, call 1.888.325.5788. Built on a cliff overlooking the world-famous Horseshoe Falls, Fallsview Casino Resort is the largest and most elegant gaming resort facility in Canada. The crown jewel in Niagara's stunning array of wonders, Fallsview offers a world-class casino with over 3,000 slot machines, 100 gaming tables and an exciting poker room. The resort also features a 374-room luxury hotel, full service spa and fitness centre, dozens of shops and restaurants, the Avalon Theatre (an intimate 1500-seat state-of-the-art venue) and over 30,000 sq. feet of meeting and convention space. Fallsview Casino Resort was built at a cost of $1 billion and opened to the public on June 10, 2004. The resort remains the largest single investment ever made by the Government of Ontario in the Niagara region. Fallsview Casino Resort is owned by the Government of Ontario through the Ontario Lottery and Gaming Corporation (OLG) and operated by a consortium of five companies, the Falls Management Group LP. NEC’s EMEA Partner Conference 2015 in Athens radiates enthusiasm and commitment. Paul Kievit, President and Head of NEC Enterprise Solutions EMEA, congratulates Hui Du Le-Ngoc (center), Managing Director, Cetis (EA), Ltd. and Philip Ofori, (center left) Sales Manager, Cetis (EA) Ltd., on receipt of the NEC Best Complementary Solution Partner award at a special Gala Dinner in Athens. At the NEC EMEA Partner Conference 2015 held in Athens, Greece, from the 3rd until the 5th of June, NEC, leading network and IT solutions provider, awarded its top performing business partners addressing the enterprise market with IT & Communication solutions for their excellent business performance over the past year. During a special Gala Dinner, Cetis received the NEC Best Complementary Solution Partner award. At the conference, which brought together NEC’s major distributors and key business partners from over 40 countries across EMEA (Europe, Middle East & Africa), Paul Kievit, President at NEC Enterprise Solutions, expressed his appreciation for the strong commitment the business partners have shown and congratulated them with their significant achievements across many territories. NEC’s growing market penetration and expanding partner community was reflected in the increased number of participants, this year some 300 attendees from different partner organizations across the region. “It is immensely inspiring to experience the enthusiasm of our business partners for our brand, our portfolio and our way of working”, said Paul Kievit, President of NEC Enterprise Solutions. “The awards we are presenting are recognition of our mutual commitment and business success. We look forward to a fruitful continuation of the way we are serving EMEA Enterprise IT & Communications markets together”, Kievit stated. “With the innovative power of a global leader and the energetic support of local organizations and highly professional channel partners, NEC is in an excellent position to respond to the most demanding needs of customers”, Kievit concluded. Visit the new Scitec website at www.scitecinc.com. In the June eNewsletter we are featuring our new Scitec website, designed to showcase why value never looked so good!. 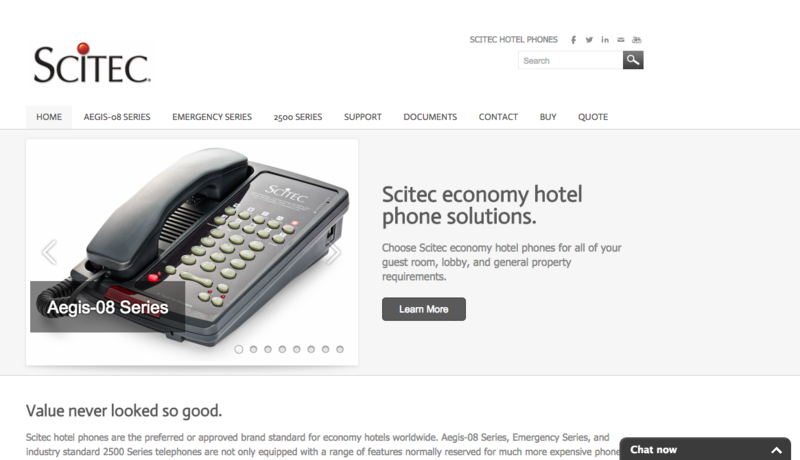 Visit www.scitecinc.com for details and photos of Scitec Aegis-08 Series, 2500 Series, Emergency Series hotel phones. The Scitec website features an intuitive user interface with a full mobile navigation, model menu, and informative, detailed product pages. If you have comments or suggestions regarding the new Scitec website, please write marketing@cetis.com, or visit the Support page and take a minute to answer our short survey on how we can better support your requirements. We look forward to hearing from you! Battery Backup option available on selected Cetis hotel phones. 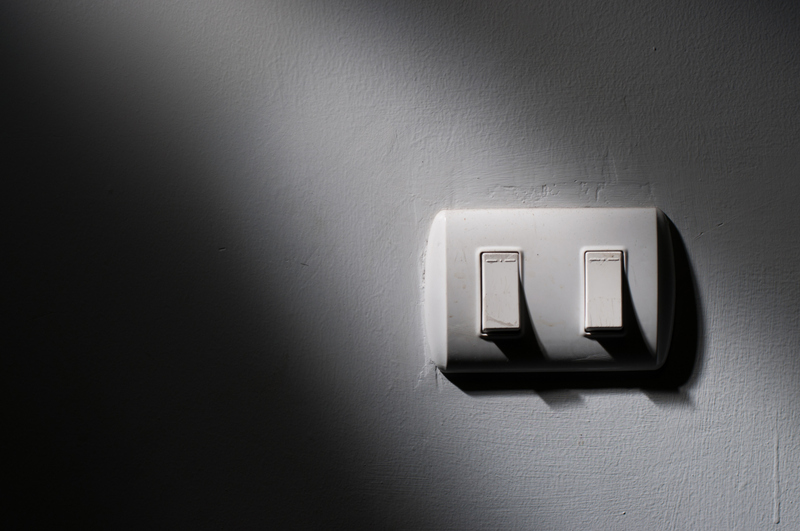 Don't leave your guests in the dark. 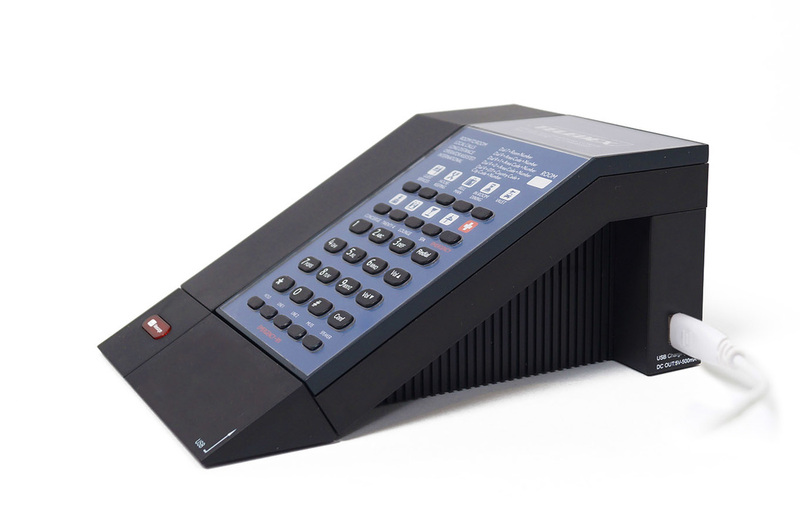 Specify battery backup on selected Cetis analog cordless hotel phones. All cordless phones require power to keep the radio alive that allows the base phone to work with the cordless handsets. In the event of a power outage all Cetis-made cordless phones will function on standard line power in speaker mode, however, for added convenience we offer a battery backup solution that keeps the radio alive, allowing the guest to use the phone in speaker mode or with any of the cordless handsets that are synchronized to the base. Specify our optional battery backup package on selected Cetis analog cordless hotel phones, designed to help keep your guests connected during power failures. Click here to request pricing, or contact your Cetis sales representative for details. Fitch Ratings: US RevPAR Forecast Boosted to 7% on Stronger Occupancy. Fitch Ratings - New York - 01 June 2015: Fitch Ratings has increased its 2015 US lodging industry RevPAR growth forecast to 7% from 6%, primarily reflecting the measure's YTD performance and moderately higher assumed employment growth. Year-to-date US RevPAR growth of 7.5% through April on stronger occupancy gains exceeded our expectations. The outlook remains excellent for lodging fundamentals through the balance of the year as Fitch expects GDP growth to accelerate to 3.1% in 2015. Interest rates are still at or near historically low levels, consumer confidence and labor markets are improving, and hotel supply growth (although accelerating) remains muted. However, select indicators that have traditionally turned down ahead of industry RevPAR softened during the latest three months. Examples include the index of leading US economic indicators (LEI), TTM US hotel occupancy rates and hotel REIT share prices. Although it is premature to conclude the cycle has peaked, these metrics bear watching - particularly given the stage of this upcycle. Cumulative TTM RevPAR is up 43% through April from its February 2010 trough. This is above the 38% cumulative trough-to-peak change in the recovery that began in the early 2000s cycle, but below the 49% increase during the longer duration upcycle that began in the early 1990s. Real ADR is still roughly 2% below its prior cycle peak, but the greater mix of lower priced select service rooms in the US challenges comparability and likely understates the "real" real ADR recovery. Fitch views the Hotel REIT selloff as the most concerning of the three indicators. Hotel REIT share prices are down roughly 7.5% YTD and are trading below their six-month average, which has traditionally been a good, though imperfect, early indicator of industry downturns. However, shares of most REIT property sectors have fallen since early January on interest rate concerns and non-REIT hotel company shares are generally up YTD. Although the LEI and occupancies have decelerated, their absolute values remain solidly positive. Click here to read the entire article at Hotel-Online. Click here to watch the video. The Value Of Cetis Hotel Phones. Brand your hotel brand with Cetis telephones. The Cetis value proposition is virtually limitless, when you consider the range of hotel phone design, color, and feature options that provide unique opportunities to brand your hotel brand. From classic to contemporary, basic to bold, and standard to stylish, only Cetis offers the full range of hotel phones to meet the unique design and feature requirements that you have for your hotel properties. Cetis hotel phone faceplates are customizable to your hotel’s brand standards. Branded faceplates are a great way to provide a seamless, consistent, informative, and memorable experience for your guests. Choose 9600 Series|3300 Series contemporary hotel phones with 7 standard or custom handset accent colors designed to help brand your hotel brand, and complement the color palette and style of your guest rooms. 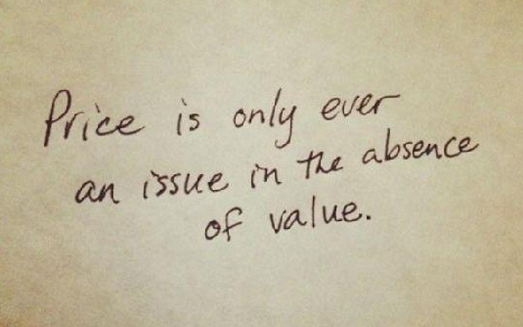 Choose value. Choose Cetis. In our U.S. warehouses alone, Cetis maintains an average inventory of 300,000+ hotel phones. Additional hotel phone inventories are available through Cetis warehouses located in United Kingdom, China, Dubai, Mumbai, and Malaysia. Cetis analog and VoIP technical support teams are deployed worldwide to meet the growing requirements of our partners. Make two copies of your passport, driver's license, credit cards, ATM cards and any other important documents you might be carrying. Leave one copy at home with someone you can reach in an emergency. Keep the other set with you in a safe place separate from the originals. Another option is to scan your documents into a computer as a PDF file and e-mail it to yourself, allowing you access to your documents from wherever you have an Internet connection.